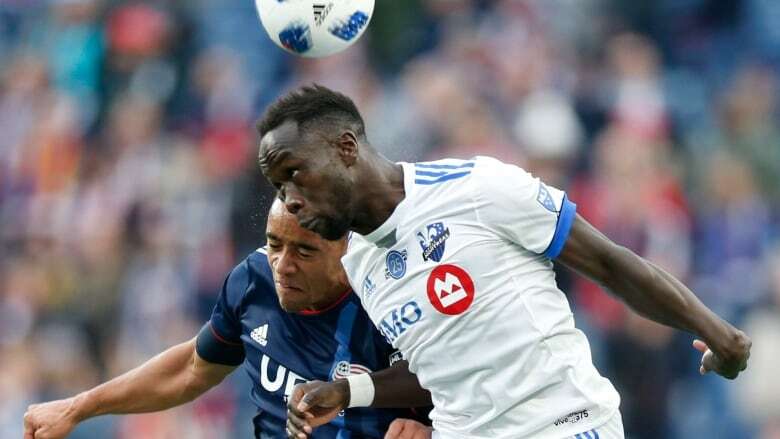 Defender Bacary Sagna has re-signed with the Montreal Impact, agreeing to a one-year deal on Monday. "I'm very happy to be back with the Impact for one more year," the right back said in a news release. "I hope we have a good season and make it all the way." Sagna played 810 minutes over nine games with the Impact in 2018 and scored one goal, in September against the New York Red Bulls. "I am very satisfied that Bacary [is continuing] with the club," said head coach Rémi Garde. "He played a big role in our good second half to the season in 2018 and I am sure he will once again be an important part of the Impact in 2019." The Impact earned a record of five wins, three losses and one draw, conceding just 12 goals with him on the field during the 2018 campaign. Sagna played in the Premier League from 2007 to 2017, appearing in 267 games with Arsenal and Manchester City. He scored four goals and added 19 assists. He was named to the Professional Footballers' Association's Team of the Year in 2007-08 and 2010-11 and won one FA Cup and one League Cup. On the international scene, Sagna represented the French national team 65 times, taking part in the FIFA World Cup in 2010 and 2014. He also played every minute of Euro 2016, including the final against Portugal.